The twelve jury members were selected on Monday as the trial gets underway. In addition, there’s four alternative members for the long trial ahead. The jury is made up of ten African-Americans, four Caucasians, one Asian and one Hispanic. U.S. Judge John R. Leon is ruling on the case. 94% to 96% of the charity revenue went directly to military members. The charity foundation was setup with the goal of help military members and their families. Most of the funds went directly to serving that purpose. However, Driscoll is accused is using more than $500,000 of AFF revenue to fund her personal life. Jewelry, alcohol and other items were paid for using funds from the foundation. 2017 court documents showed $3,000 per month in payments to herself. Those funds were to pay for such items as her car, gas and an employee’s cell phone. “She stole more than $500,000 and evaded paying her fair share to the IRS,” said Virginia Cheatham, prosecutor for the U.S. Attorney’s Office for the District of Columbia stated on the first day of the trial according to Kickin’ The Tires. “She was the sole decision-maker, nothing happened at the AFF without her approval. She bamboozled, cajoled and bullied people to get her way. She hid things from the (AFF) board of directors and made false claims that 95-percent of the money (donated) to the AFF went directly to help military members and their families,” Cheatham continued on Monday. Those same 2017 court documents stated that Driscoll altered her tax returns to hide the fraud of the foundation. In addition, she altered the AFF Quickbooks to support that adjustment. Driscoll owned the property on Capital Hill that served as the base for the AFF. In turn, the charity organization paid rent to Driscoll. 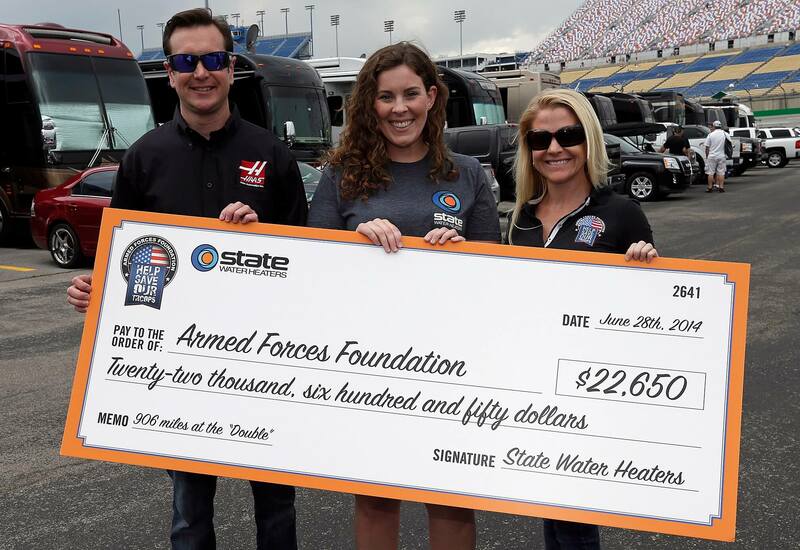 In 2014, Kurt Busch was the celebrity spokesman for the military foundation. At the time, Driscoll was the girlfriend of the former NASCAR champion. Busch is not involved in any criminal case. 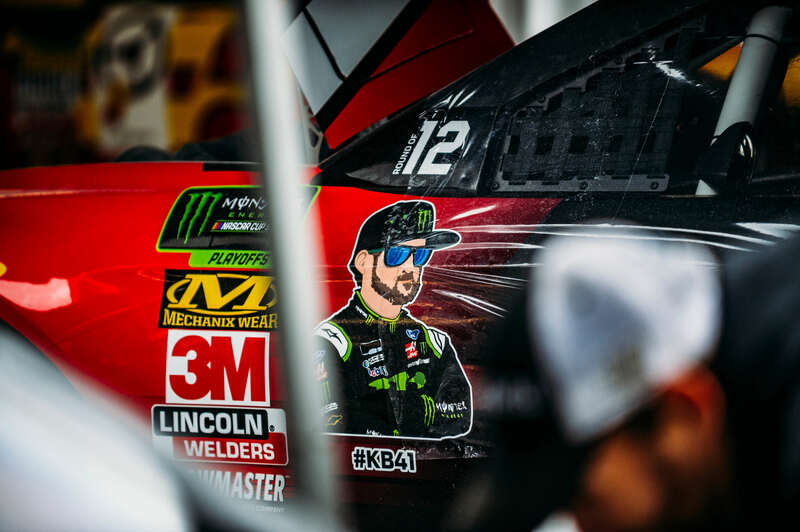 The judge asked jurors if they would be swayed in relation to Kurt Busch or NASCAR. Though, the judge also stated that he doesn’t see Busch making any appearance in court, for either side. No jury member raised their hands. Brian Stolarz is the lawyer for Driscoll in the trial. He stated that Driscoll is a ‘hustler’, not a criminal. He anticipates other side of the case will try to make her out to be just that, a criminal. Stolarz also noted in opening statements that his client trusted professionals to take care of the accounting situation. Meaning, his client didn’t intend to break tax laws. Instead, she trusted the professionals who advised her. Driscoll still claims she is owed money by the AFF. The lawyer stated this is in excess of of the amount which she is claimed to have taken from the foundation. “It all came crashing down in September 2014. Her NASCAR boyfriend choked her and backed her against a wall,” Stolarz stated to the jury members on Monday. “The man she loved put his hands on her. She was devastated but she was not taking it anymore and she got a restraining order. He was suspended by NASCAR and missed the prestigious Daytona 500. It was the first domestic violence suspension in the history of NASCAR,” Stolarz concluded. Following the 2014 breakup with the NASCAR driver, Driscoll picked up her son and hit the road from Baltimore to Dover. 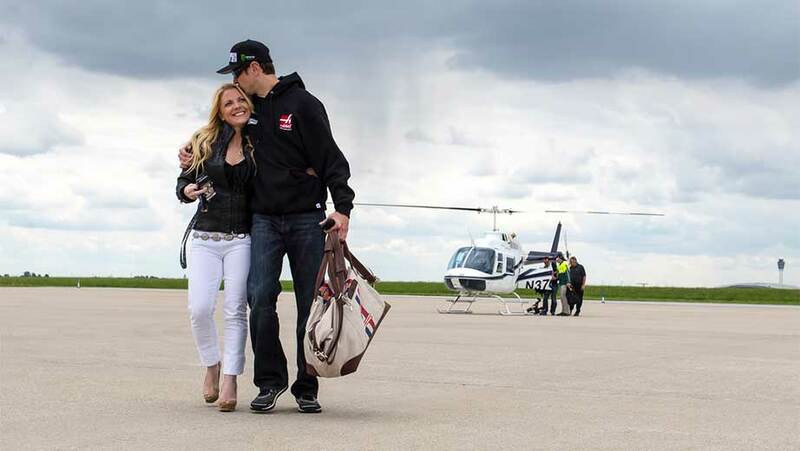 In the middle of the night, she entered the motorhome of Kurt Busch. She entered the RV using a passcode. Driscoll accused Busch of choking her that night. NASCAR suspended Kurt Busch just days ahead of the 2015 Daytona 500. He would miss three races. However, the state of Delaware cleared him on any wrong doing in the case. Driscoll was awarded a protective order. Though, it was dropped a year later. No criminal case was ever brought against Busch. prosecutors said there was no evidence to support the claim. Driscoll’s lawyer stated that donations dried up after her fallout with Kurt Busch. Stating that NASCAR fans specifically, revolted. Driscoll resigned from the Armed Forces Foundation in 2015. Later, the foundation closed due to a lack of funding. The trial is set to take several weeks. It will be in session, Monday-Thursday until the verdict is reached. The case began on Monday.